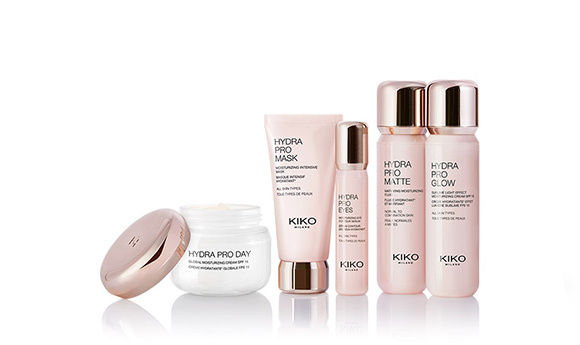 Founded in 1997 in Italy, KIKO MILANO has revolutionized traditional cosmetic standards all over the world. With over 770 stores in 15 countries and its online presence in 35 nations, this Italian brand offers a range of more than 1400 high-quality products, including make-up, beauty accessories and state-of-the-art skincare products. Closely tied to the atmosphere and traditions of Milan - a city with an international reputation for art, fashion and design - KIKO sees the major trends of the moment and makes them accessible to all women. It has made an art of combining the quality and creativity rooted in its Italian DNA with global and international ideas and inspiration. The world becomes a “playground” to explore and in which to test new beauty styles and ideas. Original textures and colours for the limited-edition fashion collections, plus reissues of the brand’s must-haves, are the result of the efforts of a team of trend hunters, who explore the trendiest capitals at every latitude. They analyze social phenomena and street styles; blogs and international web sites; the worlds of showbiz, media, fashion, food and design. 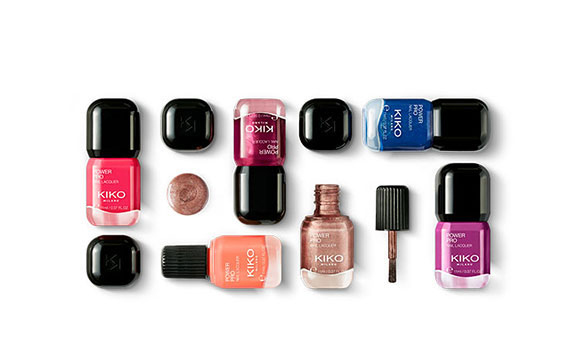 KIKO transforms these global tips and ideas into products by sensing women’s wishes, trends and needs and finding beauty solutions that are within the reach of every woman. With its innovative approach, KIKO has conquered the most demanding beauty addicts with an endless range of shades, tones and textures to satisfy every professional and personalized make-up requirement. Beauty belongs to everybody and life in colour is the way we live. This is the vision of KIKO MILANO. The KIKO MILANO universe is innovative in form and substance, from the visual display of make-up shades to the exclusive formulas and innovative textures of the skincare products. Behind each product is the excellence of research carried out by an expert scientific team that develops new technologies and original formulas. KIKO MILANO works with some of the world’s largest producers of cosmetics to guarantee the highest safety standards and to be constantly up to date with the latest market innovations. Of the KIKO MILANO make-up and skin care formulas, 97% are produced in Europe (3% in USA, Korea and Japan), which ensures high quality and safety, in addition to imagination, style and attention to detail. The entire range of KIKO products is constantly subject to strict and accurate short-term and long-term safety protocols. KIKO relies on private, independent clinical laboratories and qualified international science centers to assess new technological developments in the field of cosmetics. Every KIKO product must be hypoallergenic, non-comedogenic, and clinically and ophthalmologically tested, with tests run by universities and/or independent dermatology clinics. Lastly, KIKO commissions microbiological analyses to be performed by certified laboratories and to be within KIKO’s self-imposed restrictive range of acceptable standards, including on finished products. All KIKO products and ingredients meet strict requirements as required by law (including no animal testing). However, Kiko goes one step farther, demanding that products face more restrictive conditions than the ones required by the law during tests. KIKO has also drawn up a black list of cosmetic ingredients which are permitted by the laws of various countries but that the company does not consider suitable. An example? 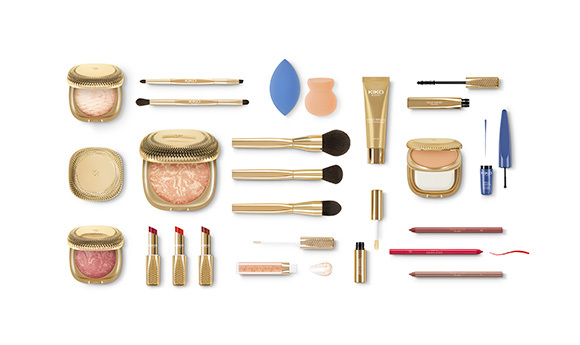 In 2014 all KIKO products became paraben-free. In addition, KIKO MILANO no longer uses aggressive preservatives (such as methylisothiazolinone, polyaminopropyl biguanide and chlorphenesin) and has removed plastic microbeads from its scrubs as they are a cause of water pollution. Packaging design is elegant and functional, created to preserve product quality and provide clear information on ingredients, provenance and the effectiveness of measurable and tested product results. Come to KIKO stores to exchange ideas with the brand’s cosmetic experts and make-up artists, to play with colours and the hundreds of new products on display, to try out new looks and effective skincare treatments that can be customized according to your needs. Entering the world of KIKO MILANO does not simply mean treating oneself to beauty shopping, it is a true sensory experience which includes fun, well-being and gratification. Technologically advanced cosmetic research applied to face and body care products, all dermatologically tested for more beautiful and healthy skin without imperfections. A wide variety of professional cosmetics at accessible prices: different colors, textures and finishes help you create a perfectly personalized look. One-shot fashion collections and top-notch products inspired by the latest trends. 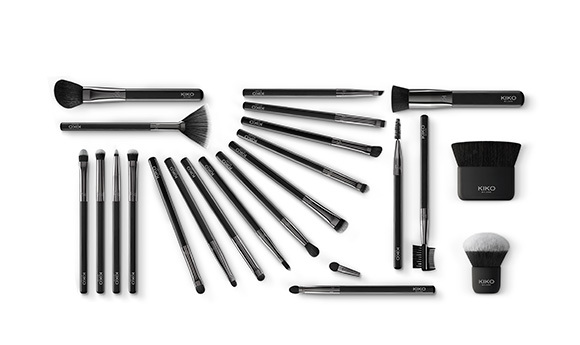 A wide range of high-quality brushes and tools for perfect product application. Visit KIKO MILANO stores in Lebanon.